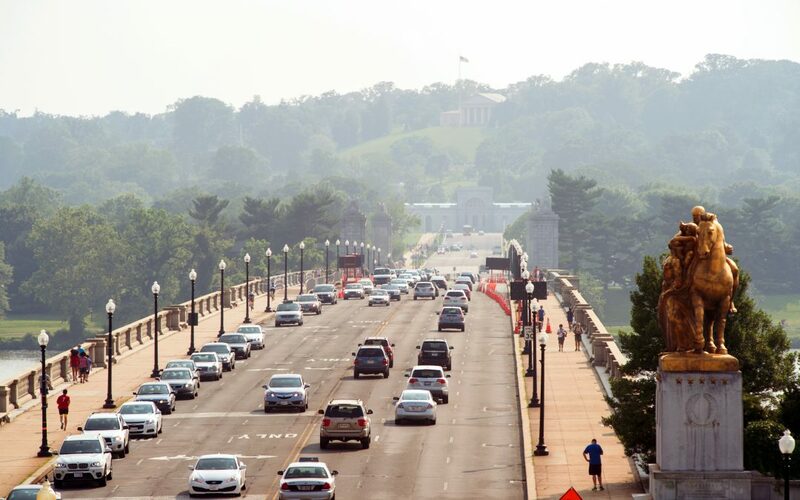 Nearly 56,000 structurally compromised U.S. bridges are crossed 185 million times a day by cars, trucks and school buses, according to ARTBA’s fourth annual analysis of the U.S. Department of Transportation’s 2016 National Bridge Inventory database. If placed end-to-end, these bridges would span 1,276 miles, or half the distance from New York to Los Angeles. State transportation officials regularly inspect bridge decks and support structures for deterioration and remedial action. Bridges are rated on a scale of zero to nine—with nine meaning the bridge is in “excellent” condition. A structure is classified as structurally deficient and in need of repair if its overall rating is four or below. State transportation departments have identified 13,000 Interstate bridges that need replacement, widening or major reconstruction. Iowa (4,968), Pennsylvania (4,506), Oklahoma (3,460), Missouri (3,195), Nebraska (2,361), Illinois (2,243), Kansas (2,151), Mississippi (2,098), Ohio (1,942) and New York (1,928) have the most structurally deficient bridges. The District of Columbia (9), Nevada (31), Delaware (43), Hawaii (64) and Utah (95) have the least. Rankings and locations of the 250 most heavily travelled structurally deficient bridges in the nation and top 25 most heavily traveled in each state is available: www.artbabridgereport.org.